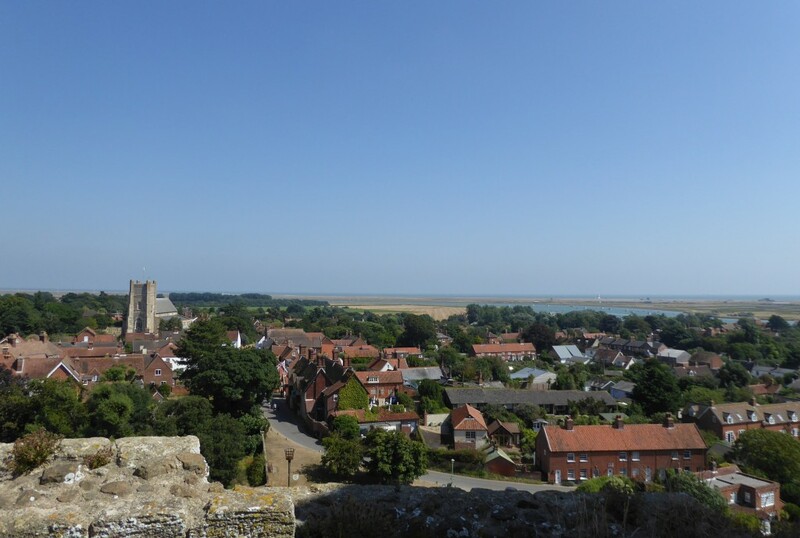 A day out at Orford Castle should be on everyone’s list. 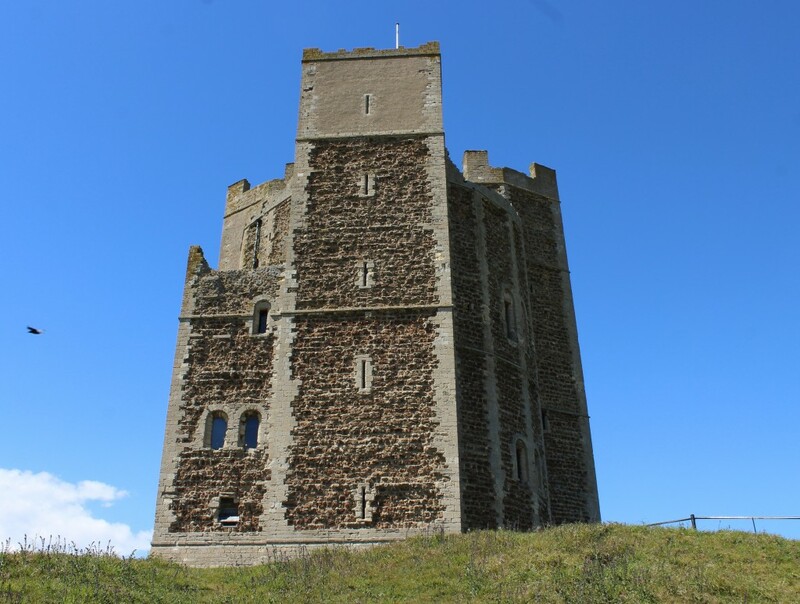 Here’s my quick guide from the bottom to the top of Orford Castle in 7 photos. Orford Castle looks magnificent whatever time of year you visit. Situated in one of my favourite areas of the county this English Heritage property has so much going for it and when you reach the top the views are great! As you approach the castle just before you get to the concrete steps that lead from the car park to the castle, there is a dip in the grass on the left hand side. If you take a stroll over there you get what I consider is the best view of the castle. It makes you feel really small! Feel so small looking at the castle from this view! When you approach the castle and reach the steps, I love how they are worn. It makes you wonder about the thousands of people past and present that have walked up them! 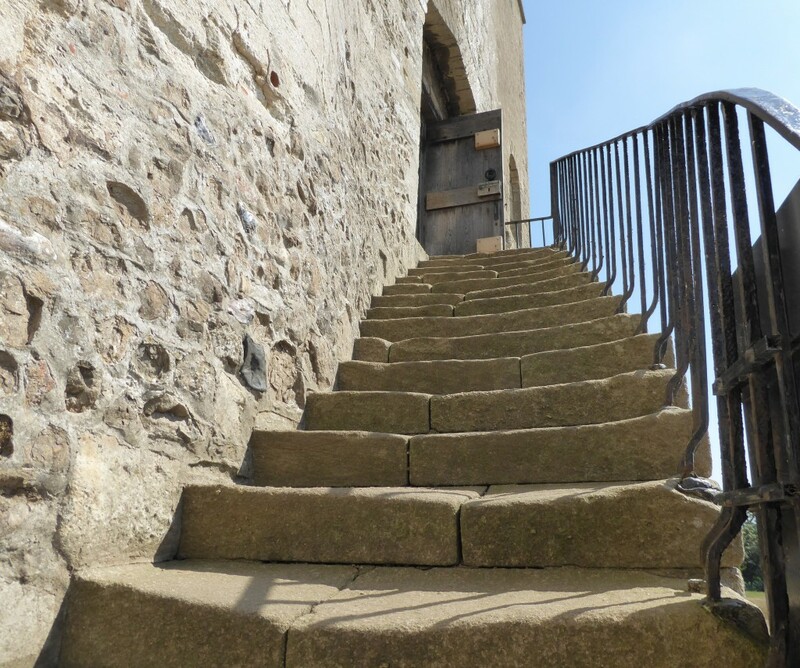 Entrance to Orford Castle – just love this staircase! Once you get inside you will find lots to explore. 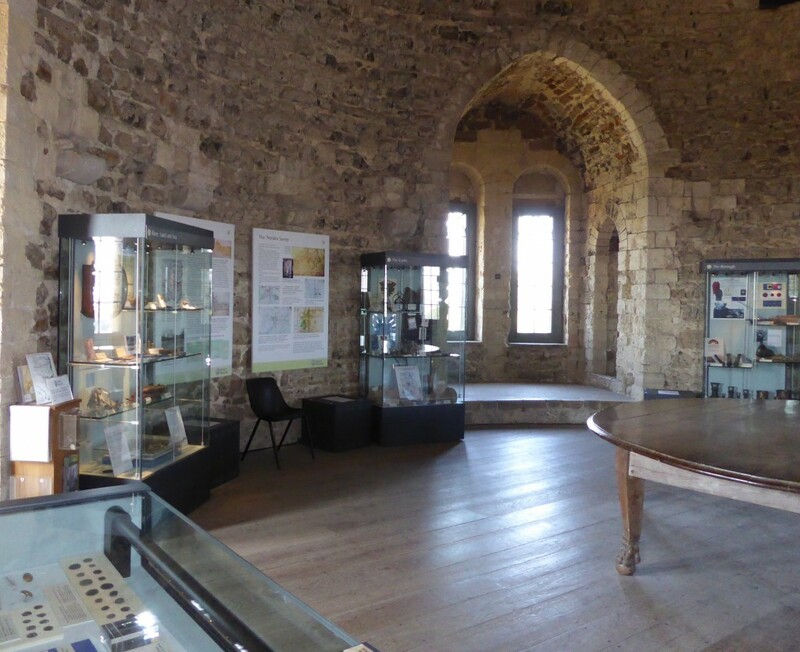 The Orford Museum can be found in the castle which has some great background information and artefacts from the area. You will also find lots of little rooms and chambers within the castle and some are really dark. On my last visit as I crept into the tiny rooms, my backpack brushed onto the wall and the noise frightened the life out of me! 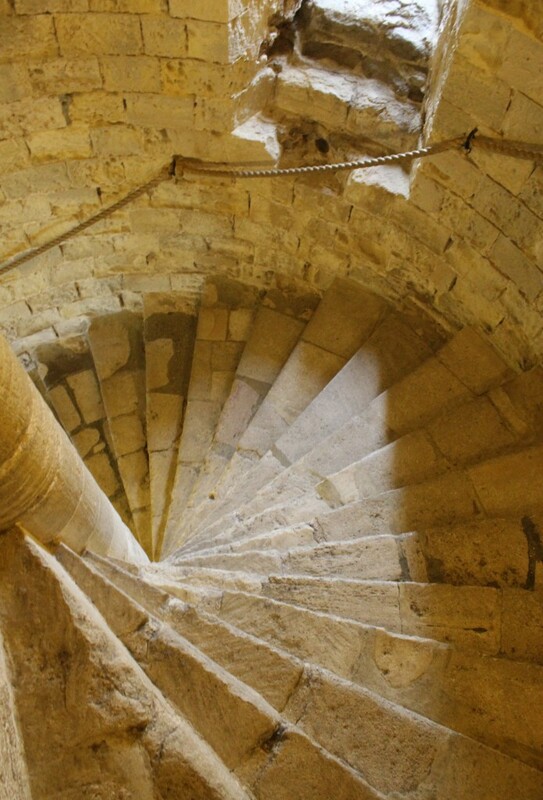 Orford Castle has the most magnificent spiral staircase. Its quite a good work out walking from the bottom to the top of the castle via its 91 steps! Hold on tight as you walk up it from floor to floor. Hold on tight as you walk on the stair case! 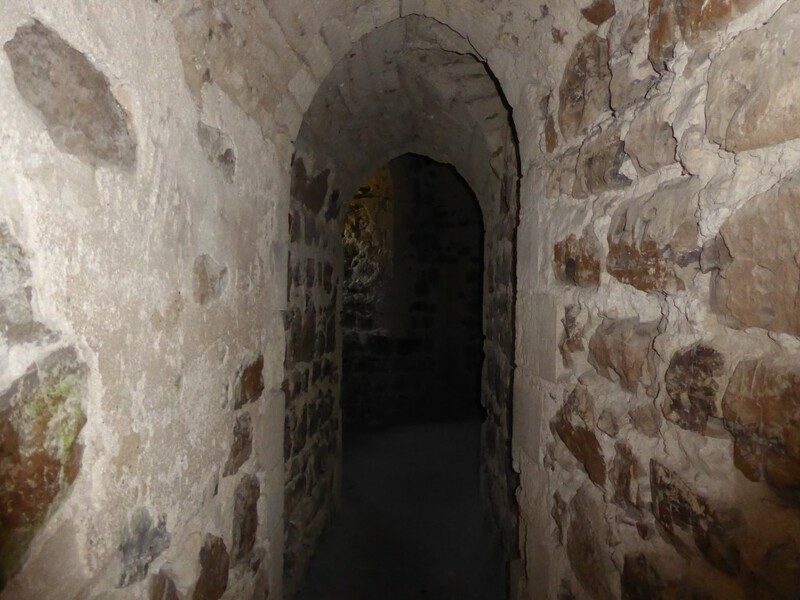 I highly recommend the audio tour, although at times I did find it a bit spooky, especially when I was all alone in the dungeon of the castle, listening to the story of the Wild Man of Orford! When you do reach the top, of course the views are great. There is so much to see from all sides of the castle. You get a real feel for the coast, farmland and village life as you can see everything this lovely castle. 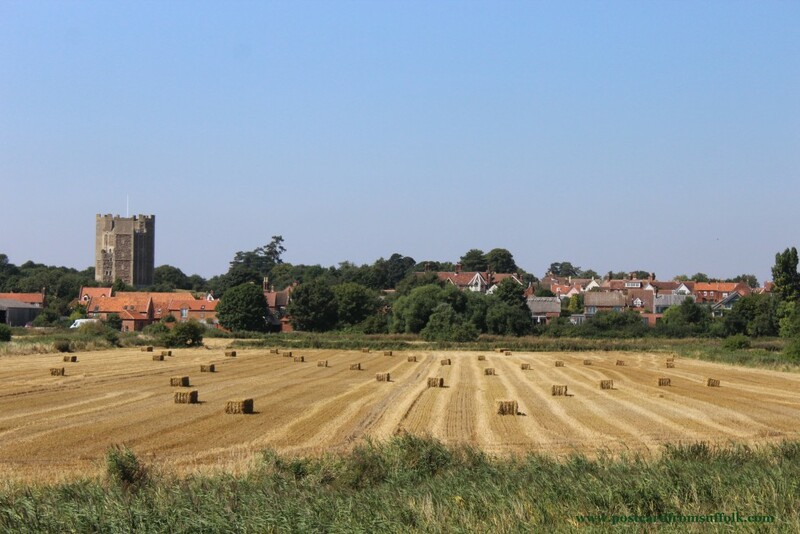 It was even voted one of the best views in Suffolk. View from the top of the castle – definitely worth all the steps! I often visit the castle as it is one of my favourite places to pop to if I have some free time. These photos were taken between 2015 – 2018 on various trips.